√ Content of high strength durable spring which can adjust the rod length as curtain rods, closet rod, coat hanger, shoe racks and cleaning agent, it is your good assistant at home. 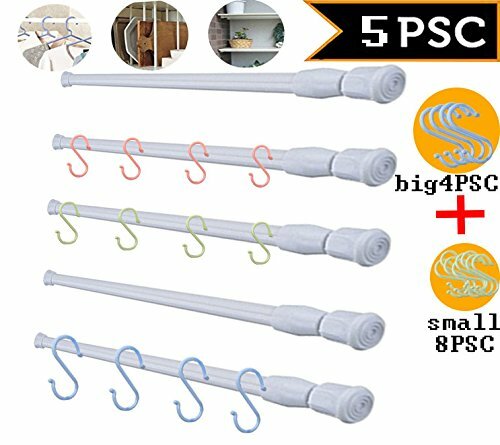 PACKAGE INCLUDES - 5 Pack extendable cupboard rods and 12 Pack hanger hooks for bonus,Great for organizing cabinets and pantry;We provide lifetime warranty REPLACEMENT & 100% Money Back Guarantee customer service,No question asked! If you have any questions about this product by TTEEKO, contact us by completing and submitting the form below. If you are looking for a specif part number, please include it with your message.